WEG Test Event – Jog day is usually crazy at any CDI/CPEDI show but this one was one for the books. Jog day is usually crazy at any CDI/CPEDI show but this one was one for the books. The morning began with a host of messages about meetings, pictures, credentials and much more. Into the breach, we started as we always do, with making sure the prized pony was fed and comfy. The morning started off cool but lovely. That didn’t last long. The wind ramped up, hour upon hour, with gusts occasionally over 40 mph. The horses were skittish, to say the least. First thing in the morning, the team vet comes around to for the in-barn inspection. 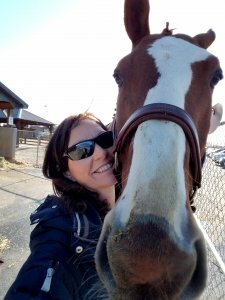 A quick check of your horse’s overall look and a longer check to ensure the passport is correct. Then we rode. Melanie, my trainer, did another light warmup, getting off well before the 24 hours plus 1 hour (25 hours, right? But this is how the rules were written) rule before the jog. Then, I rode. There are specific warmup times when you can ride in the main arena for CDI/CPEDI competitions. In para, it’s even more tightly controlled because you must ride with other athletes of similar disability level. We decided that less was more, considering the conditions. The warmup was ~okay~. Not great, but nothing bad. Tense, but responsive. I call that a win on days like this. The rest of the day was filled with lots of pictures. Pictures for credentials to wear to get into the stalls. Pictures for USEF, pictures for FEI. Pictures of me. Pictures of my horse. I don’t know that I’d ever had that many on one day! The CDI Jog was in the morning, which we wanted to watch. Then paras began the Jog at 3:00. All horses must be jogged for soundness issues. All para horses passed this time with no holds or representations. Yay! My boy, Snickers, gets UP for the jog. I have Melanie jog him, and he can fly her sometimes! She carries a whip to stop him. He needs no enticement to go bigger! There were team meetings, a quick workover by the team physiologist, more meetings, picking the order of go, then finally a lovely dinner and back to the AirBnB before dark. Haleluja! I didn’t need to go crazy because my ride time is Friday at 3:20. For paras, this WEG Test Event is an observation opportunity for selectors to view the top riders in this country. The team won’t be picked for months but this all goes into that. But, since this is the Test Event for WEG, their goals focus on the readiness of the facility and how things should, could, or don’t work. It gives the organizers lots of info. As you may imagine, any CDI/CPEDI has an immense amount of setup and design. For a World championship level show, that it all multiplied a hundred times over. I’ve been assured that it will all be ready, and I’m pulling for its success. But, please, no big construction right outside tomorrow! Bleachers flying through the air is freaky for humans to see. 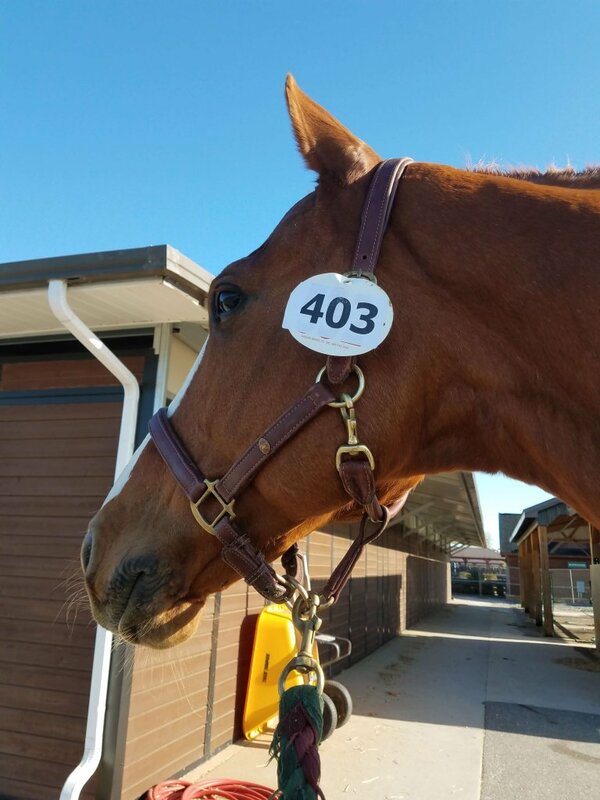 Horses – it doesn’t compute! All in all, things went smoothly and I’m pulling for this facility to grow more each morning, day, and night shift. What’s here at Tryon is amazing. I can hardly wait for it to be even more grander! Now I’m off to bed. I compete in the afternoon, so I have some time to figure things out. Suffice to say that I rested well and began Friday, ready for the Individual Test. As a hint – it went well. I tell you all about it in the next post. Sorry they’re a day behind. I have to live it before telling about living it! Pam Hardin – We all must take our injuries or physical limitations and figure out how to live our dreams. Over the last couple of months I seem to have been around cameras a lot!